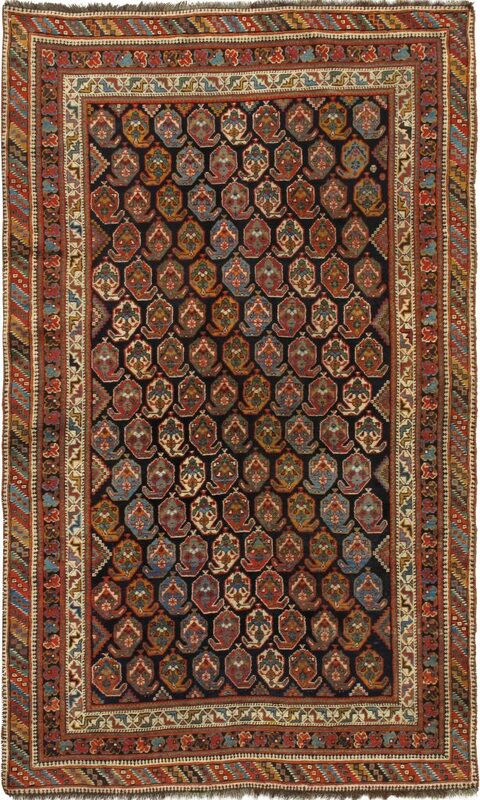 The antique tribal rugs of the Afshar tribe are woven primarily in southwest Persia and come in a bewildering variety of designs, some indigenous, some adapted from other tribes or urban sources. The Afshars originated in Central Asia and came to Persia in the 18th century with the conqueror Nader Shah. Normally the rugs are in scatter sizes, 3-4 feet by 5-7 feet, with a few room size carpets. Afshar rugs may be symmetrically or asymmetrically knotted, on cotton or wool foundations. 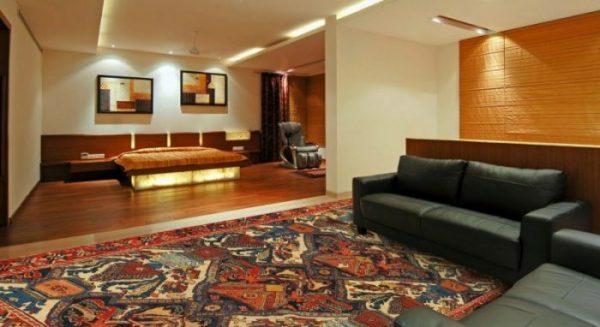 Similarly, the attractive color schemes in the rugs range from light to dark, ivory to navy. The informal, but charming, rug patterns may be medallions, arabesques, allover textile designs or abstract geometric motives. A few Afshars are located in Azerbaijan province, northwest Persia. The Afshars originated in Central Asia and came to Persia in the 18th century with the conqueror Nader Shah.